The Great War, or the First World War, was a conflict that changed the world. It began in Europe and involved all of the major powers, including those with global empires. Hence the war was fought on a scale never previously experienced. It was also a war in which new weapons were widely used including the tank and poisoned gas. Trench warfare was one of the distinctive and horrific aspects of the war. Two alliances developed in the years before the war with Britain, France and Russia in one and Germany, the Austro-Hungarian Empire and Italy in another. However, in 1915, Italy entered the war on the side of the Allies having been promised territory for doing so. The rise of Germany from the 1870s onwards changed the balance of power. Central to the division between the two camps mentioned above was great hostility between France and Germany. The German states were united in 1871 after defeating France and there was tension between the two countries over the succeeding decades. ￼Germany was also at odds with Britain over the development of its navy, which the British regarded as a major threat. Britain was the world’s dominant naval power and considered its supremacy at sea as crucial because of its global empire. Germany also had ambitions to be a colonial power and it acquired colonies in Africa and elsewhere. The Balkan Peninsula in south-eastern Europe had many different ethnic groups, some with aspirations to extend their borders. Many in Serbia wished for the country to incorporate Serbs living in Bosnia-Herzegovina, which was part of the Austro-Hungarian Empire. It was formally annexed by the Austria-Hungary in 1908, leading to a crisis. There was much anger among Bosnians and Serbs, and some nationalist organisations in both places were prepared to use violence against Austria-Hungary. The incident that sparked off the war was the assassination of Archduke Franz Ferdinand and his wife Sophie in Sarajevo, the capital of Bosnia-Herzegovina, on 28 June 1914. 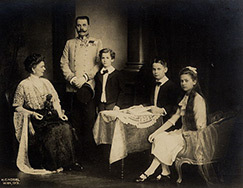 Franz Ferdinand was the heir to the Austro-Hungarian throne. 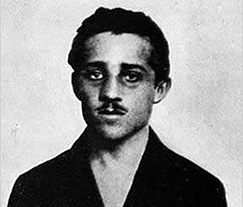 The assassin, Gavrilo Princip, was a Bosnian Serb nationalist. He and a group of associates planned to kill the archduke and were supported by elements in the Serbian intelligence service which armed them. Austria-Hungary blamed Serbia for the murders and made stringent demands about how it should investigate what happened. Serbia was prepared to meet most of the demands, but the Austro-Hungarians were not willing to compromise. They had Germany’s support which was a deciding factor. Austria-Hungary declared war on Serbia on 28 July. Russia was a Serbian ally and it declared war on Austria-Hungary. France had to support Russia once it became involved, and that led to war between Germany and France, which was Russia’s ally. Germany had been preparing for such a conflict for several years and had a plan in place. It was initially developed by Alfred von Schlieffen and later modified by Helmuth von Moltke. 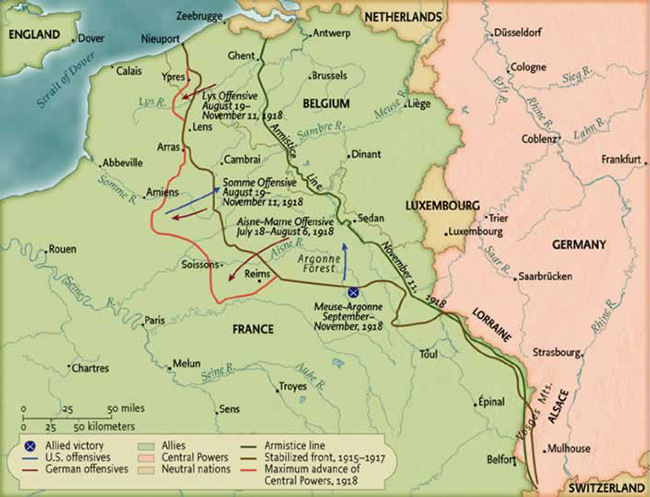 The plan anticipated a two-front war – against France and Russia – and envisaged Germany initially invading France through Belgium. Once it had delivered the decisive blow to the French, it could then focus its forces against the Russians, whom it assumed would mobilise slowly. Britain was a Belgian ally and once the German army crossed the border into Belgium, Britain had to declare war on Germany on 4 August. The Ottoman (Turkish) Empire joined Germany and Austria-Hungary soon after the war began. 28 June: assassination of Archduke Franz Ferdinand in Sarajevo. 28 July: the Austro-Hungarian Empire declared war on Serbia. 4 Aug: Britain declared war on Germany. Aug: the British Expeditionary Force (B.E.F.) landed in France. 23 Aug: Battle of Mons, the first battle between the British and Germans. 26-30 Aug: Battle of Tannenberg, Poland, in which Russia lost 250,000 men. Sept: Battle of the Marne, in which the French drove back the Germans and prevented them from attacking Paris. Oct-Nov: 1st Battle of Ypres, Belgium. Ypres and its environs saw intense fighting several times during the war. Apr-May: 2nd Battle of Ypres, including the use of poison gas by the Germans. 24 Apr: the beginning of the Armenian Genocide during which the Turks were responsible for the deaths of approx. 1.5 m. Armenians. 25 Apr: Allied troops, including Irish regiments, landed on the Gallipoli Peninsula, Turkey. 7 May: the Germans torpedoed the Lusitania off the Cork coast. 23 May: Italy entered the war on the Allied side. 6 Aug: Allied landings at Suvla Bay, Gallipoli. 25 Aug: Battle of Loos, France, where the British used poison gas for the first time. 31 Oct: British army introduced steel helmets. 8 Jan: withdrawal of the last Allied soldiers from Gallipoli. 21 Feb-18 Dec: Battle of Verdun, the longest on the Western Front. Despite sustained pressure, the French resisted the German attack. 24-29 Apr: the Easter Rising took place. 29 Apr: the Turks captured the town of Kut, Mespotamia (now Iraq), after a 143-day siege. 31 May-1 June: Battle of Jutland, the biggest naval battle of the war. 5 June: Arab Revolt against the Turks began. One of the leaders was T.E. Lawrence (‘Lawrence of Arabia’). 1 July: Battle of the Somme began. 20,000 British troops were killed on that day, including many from the 36th (Ulster) Division. 3-9 Sept: the British army captured Guillemont and Gincy on the Somme. The 16th (Irish) Division was prominently involved. 15 Sept: the British army became the first to use the tank. 11 Mar: the British captured Baghdad. 6 Apr: U.S.A. declared war on Germany. 7 June: Battle of Messines where, for the first time, men from the 16th (Irish) Division and the 36th (Ulster) Division fought together. 31 July: 3rd Battle of Ypres began. 11 Dec: the British captured Jerusalem from the Turks. 3 Mar: Russia signed a treaty with Germany. It had had two revolutions in 1917, the second of which brought the communists to power. 21 Mar: first German ‘spring offensive’ began, which saw major gains. Three other offensives followed. 15 June: 2nd Battle of Piave River, Italy, which resulted in the collapse of Austria-Hungary. 27 Sept: Battle of St Quentin in which British and American forces breached the Hindenburg Line, Germany’s defences. 30 Oct: Turkey signed an armistice with the Allies. 3 Nov: Austria-Hungary signed an armistice with the Allies. 11 Nov: Germany signed an armistice with the Allies and the war ended. There were two main battle fronts in Europe. The Western Front ran from the English Channel to the Swiss border and was noted for its extensive trenches. The Eastern Front extended from the Baltic Sea coast in a south-easterly direction. There were fierce battles fought in the east in the early stages of the war, in which the Russians lost heavily. However, they made gains against the Germans and Austro-Hungarians in 1916, but did not capitalise on them. There were also hostilities in the Balkan Peninsula throughout the war. Many Irishmen, including some from Longford, served in Salonika (Greece) and in Bulgaria. Italy joined the Allies in 1915 and fought against Austria-Hungary on its northern border. There was intense fighting in that area including no fewer than ten battles fought along the Isonzo River. There was fighting on the Gallipoli Peninsula on the western coast of Turkey in 1915, after Allied landings there. The Middle East was another theatre of war, particularly after the beginning of the Arab Revolt in 1916. There was fighting in Africa, mainly in the west and south, as troops based in the colonies of the rival European powers fought one another with help from soldiers recruited locally. Franz Ferdinand (1863-1914) was a nephew of Emperor Franz Joseph of Austria-Hungary and heir to the throne. Franz Ferdinand and his wife Sophie were in Bosnia to attend military manoeuvres when they were assassinated. Gavrilo Princip was the assassin of Franz Ferdinand and Sophie. He was a Bosnian Serb and a member of ‘Young Bosnia’, a secret society. Many Bosnian Serbs and Serbs living in Serbia wished to create a larger Serbian state. Princip and five others were trained and armed in Belgrade by the ‘Black Hand’, a secret society led by Col. Dimitrijević, the head of Serbian military intelligence. 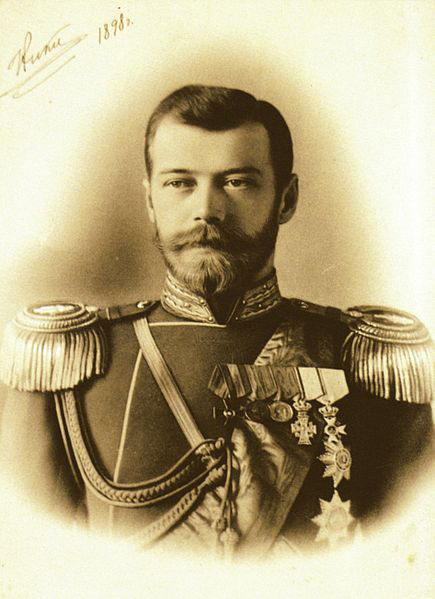 Nicholas II (1868-1918) was Tsar of Russia from 1894 until his overthrow in the revolution of February 1917. He was a cousin of King George V. Nicholas was a weak ruler and incapable of dealing with the problems of his vast empire. 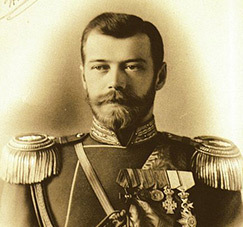 Russia's losses in the earlier stages of the war contributed to the outbreak of the February Revolution. There was another revolution in October 1917 in which the Bolsheviks seized power. He and his family were murdered in 1918. 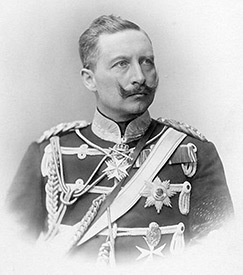 Wilhelm 11 (1859-1941) became Kaiser (emperor) of Germany in 1888. He was a grandson of Queen Victoria and a first cousin of King George V. Despite this, and his respect for Britain, he pursued a foreign policy that alienated it. That policy helped to forge an alliance between Britain, France and Russia. Wilhelm believed that Germany should be a world power. To that end, he favoured the development of the navy, which was viewed as highly provocative by the British. He supported Austria-Hungary following the assassination of Franz Ferdinand.